Want free pizza? 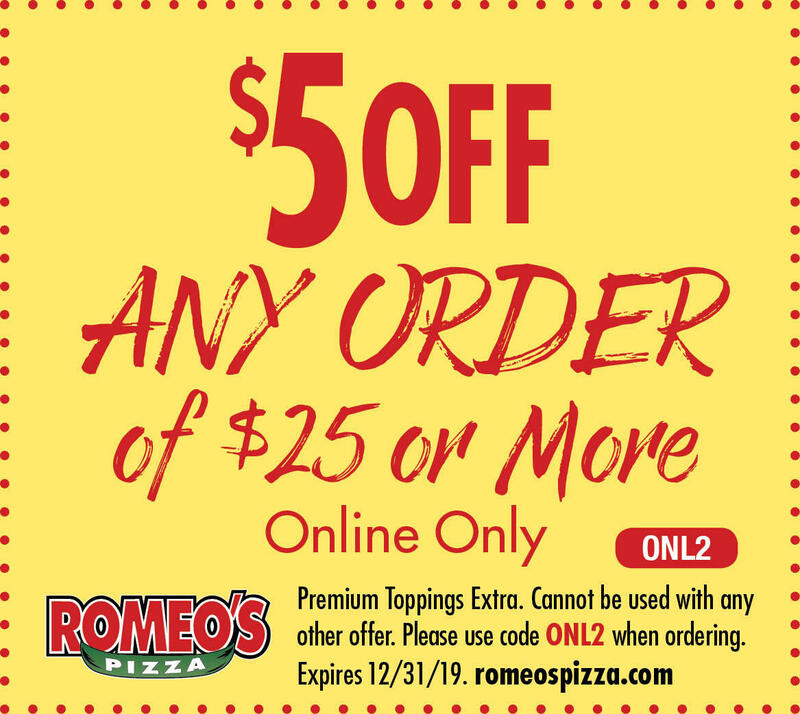 Additional coupons for savings on Romeo's gourmet pizza? Download the Romeo's app from the app store to join our rewards program and start earning Romeo's Points! 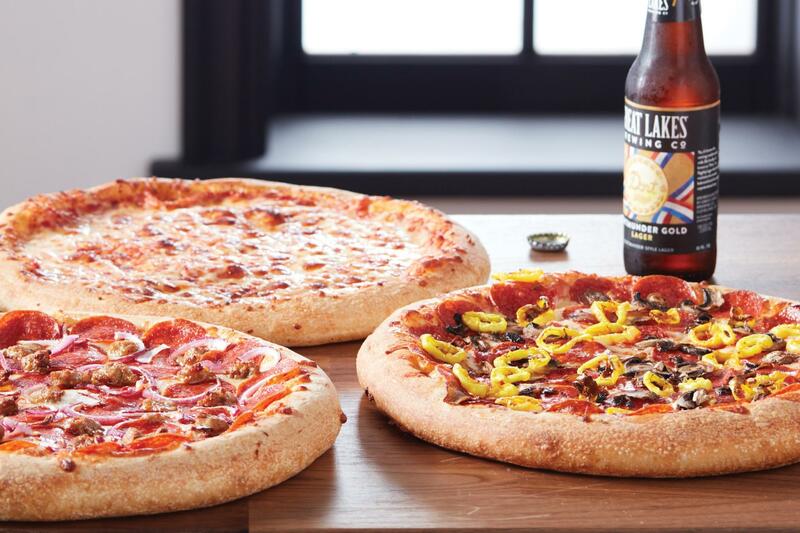 The best pizza in Westerville, Ohio is a call, or click away from being delivered directly to you! 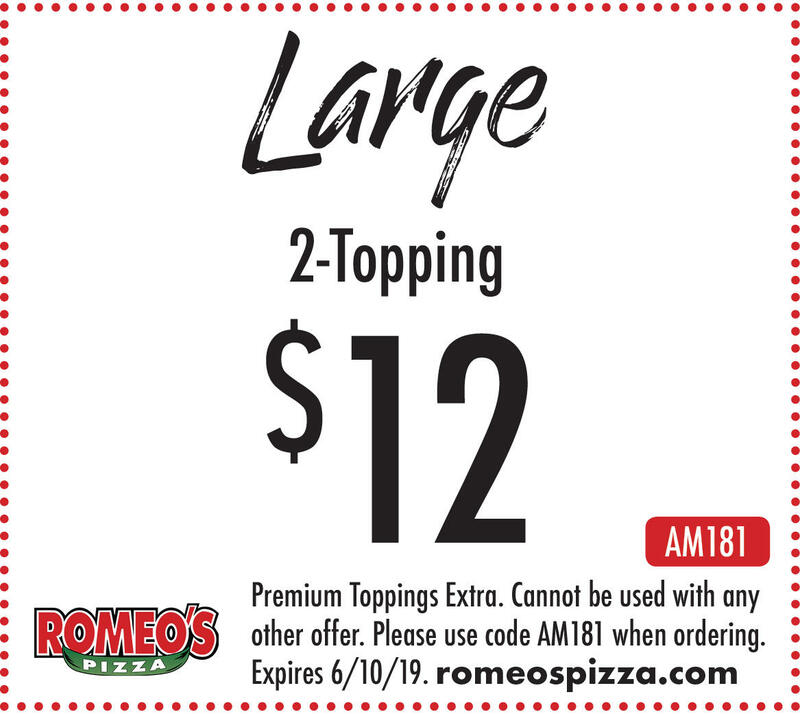 Order Romeo’s Pizza and choose from a wide range of menu options including delicious specialty pizzas! There is a little bit of something for everyone on this menu and the unique flavor combinations on the pizzas will have you coming back from more. 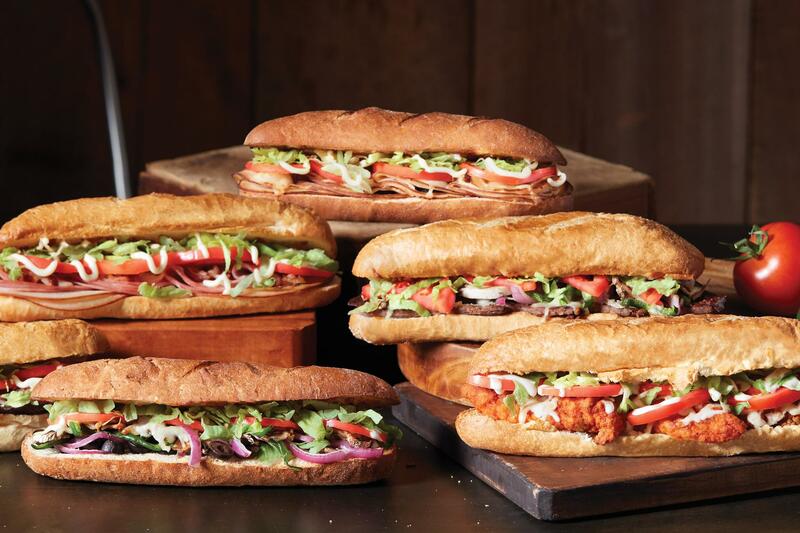 Browse all of the favorites including The Butcher Shop, The Great Ranch & Potato, The Tuscan Pepperoni Feast and many more! 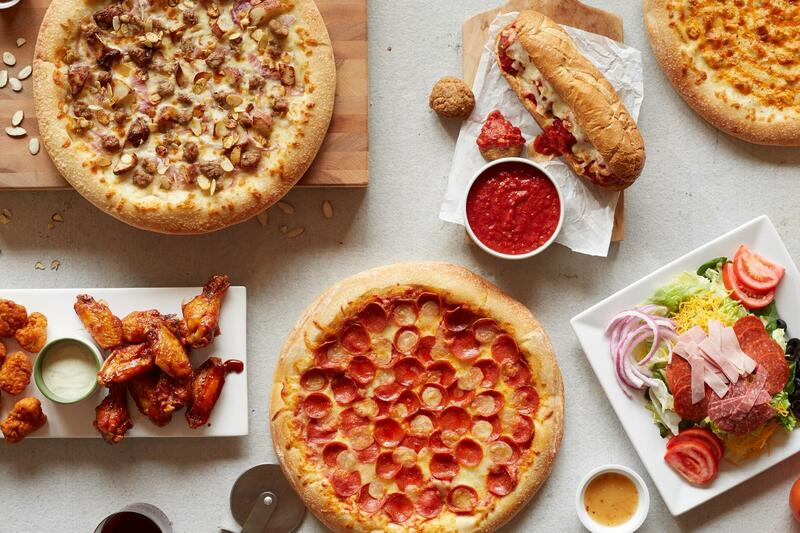 If you have your own idea of a unique specialty pizza, choose the Build-Your-Own-Pizza option and you can choose any of our crusts, toppings, and sauces to put together a masterpiece of your own creation! We even have a gluten-free crust available so everyone can enjoy the amazing taste of our pizzas! 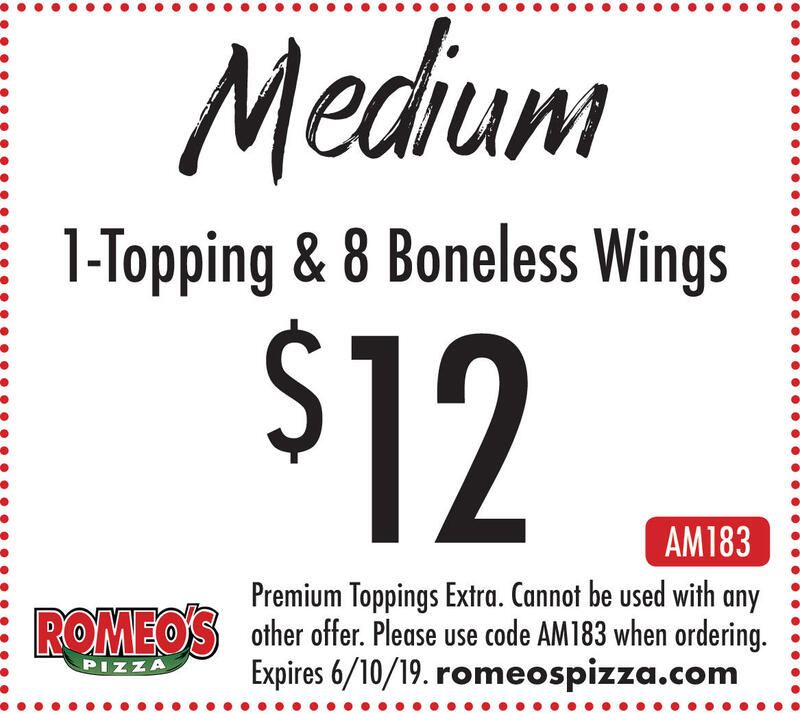 The Romeo’s menu also includes many other options for choices such as wings, stromboli, subs, salads and more so find something for everyone at your table or add a side to your pizza! You don’t need to head downtown to a high-rise restaurant for award-winning pizza! Romeo’s is serving up delicious and award-winning pizza right in Westerville, Ohio and will deliver directly to you! 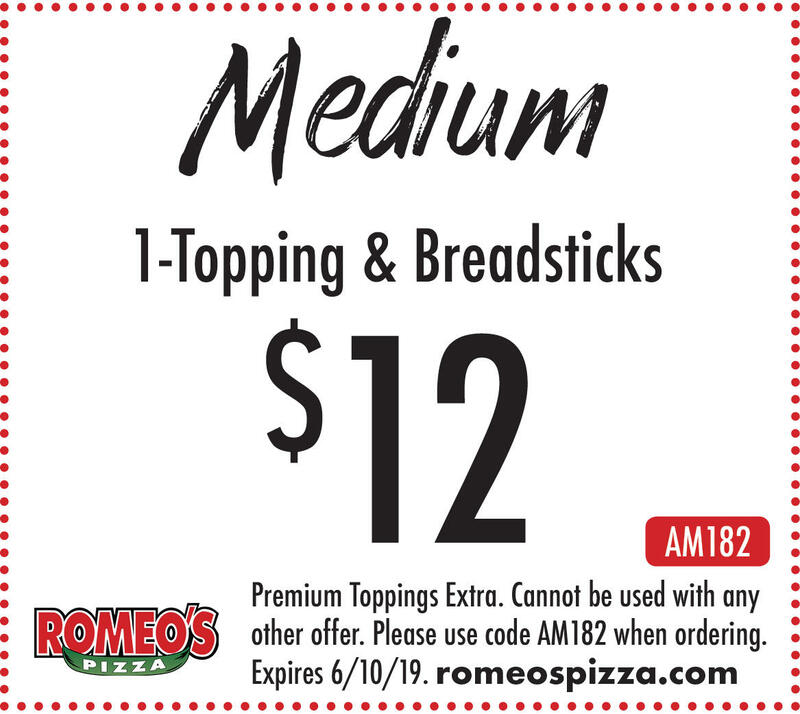 Romeo’s has been awarded accolades such as Best Pizza in the Midwest three times and has even been named The Best Gourmet Pizza in North America! We don’t expect you to simply take our word for it though. 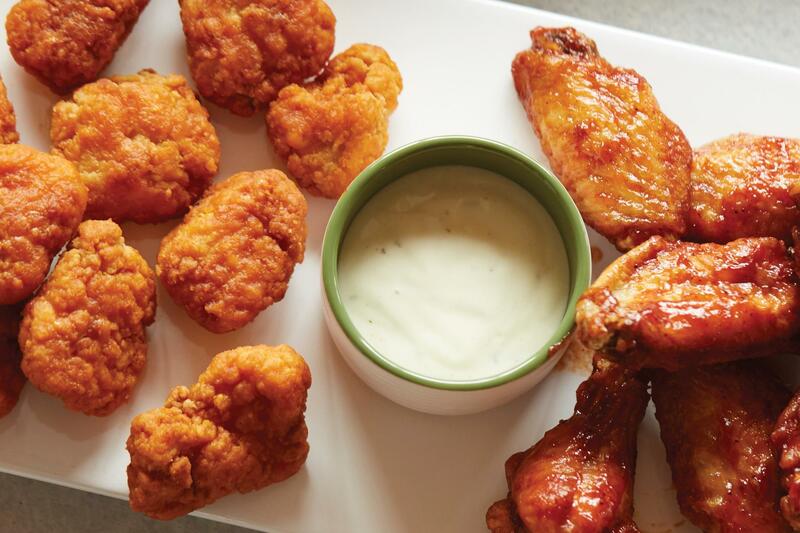 Pick up the phone, go online, or order through the app and be the judge for yourself! 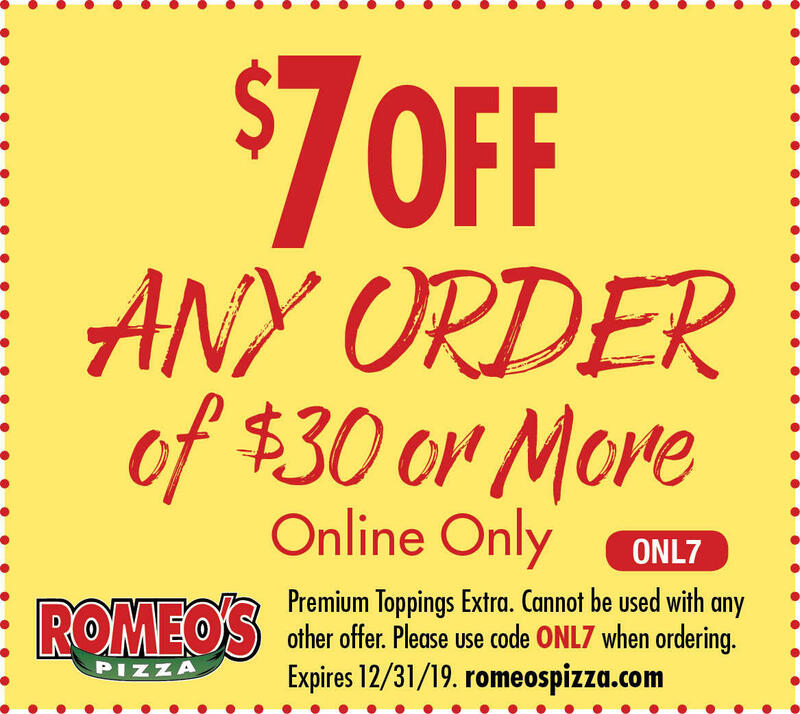 You can also sign up for Romeo’s Rewards and receive $10 off an order after earning 100 pizza points! Who doesn’t like getting rewarded for eating pizza? 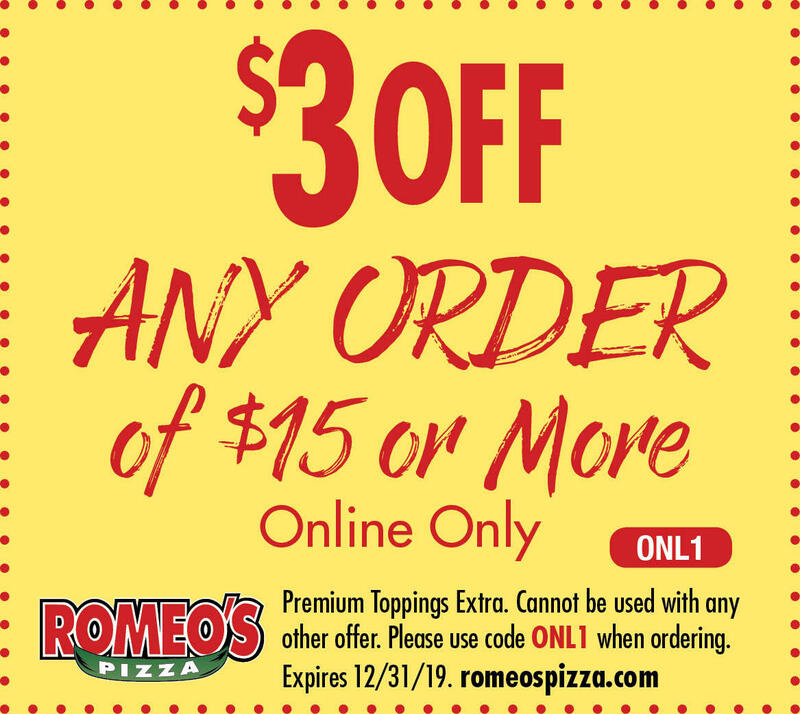 Browse all of the Romeo’s Pizza specials and coupons available and find out for yourself why so many consider Romeo’s their go-to pizza place today!